American Ryan Breymaier and his German sailing partner Boris Herrmann crossed the finish line Sunday of the Barcelona World Race to take fifth place. 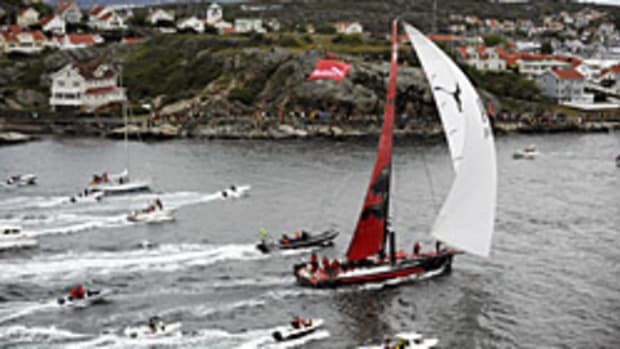 The execution of their entire 25,200-mile course aboard an IMOCA Open 60 has earned them widespread and considerable acclaim for a maturity that belies the fact that this Barcelona World Race is their first IMOCA Open 60 ocean race together. They did not let crucial damage to a hydraulic ram keel control affect their philosophy, even though it knocked 20 to 25 percent off their maximum performance since before Cape Horn. Click here for a follow-up on their adjustment to life ashore.